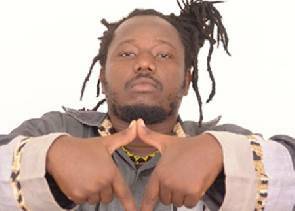 Former Reggae presenter, Abubakar Ahmed, also known as Blakk Rasta, has disclosed strange but shocking Prophecies pending. According to the ‘self-acclaimed’ Prophet, after a visit with the Lead pastor of The Synagogue Church Of All Nations (SCOAN), Prophet T.B Joshua in Nigeria, he has totally been converted. Giving more insight, Blakk Rasta stated that the Prophet TB Joshua had confirmed his prophectic visions. In an interview with Care TV, the Reggae musician revealed three pending predictions to befall the country soon. “There is going to be two plane crashes; one is going to happen in Accra that no one will die but the other one to occur in Kumasi will leave a lot losing their lives but all we have to do is to pray against it. Blakk Rasta stated that he’s sometimes scared by his visions and he’s availing himself to God to direct him according to his will.